I am probably the most skeptical and critical beauty blogger out there when it comes to BB/CC cream, and you are not likely to see a rave review on them here. It has a lot to do with the fact that most commercially available BB cream is nothing like the original Blemish Balm from Schrammek and the false "do-it-all" claims including sun protection. 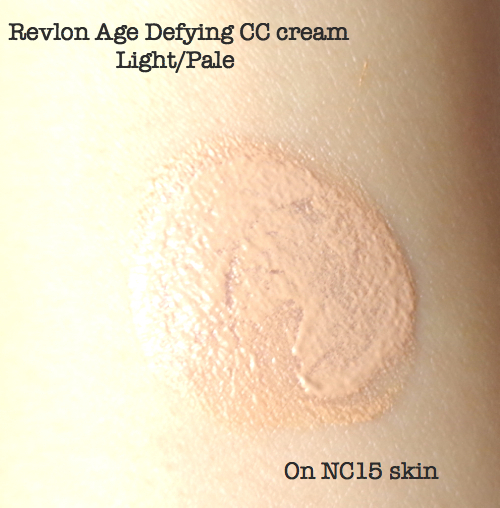 I still bought this new Revlon Age Defying CC Cream maybe because I fully understood CC cream was another name for tinted moisturizer with sunscreen. If you agree with me on that, you will be quite pleased with this one. Revlon CC Cream is packaged in a clean white tube with red cap as it belongs to the Age Defying line, but I have found this on the web. Apparently Revlon introduced CC cream in Asia under "Absolute Radiance" line and most upsettingly, the package is much cuter! Is this a treason or what? I would have been perfectly happy with this white/red tube if I had not seen that. Ugh. Anyway, you can find detailed product information HERE. 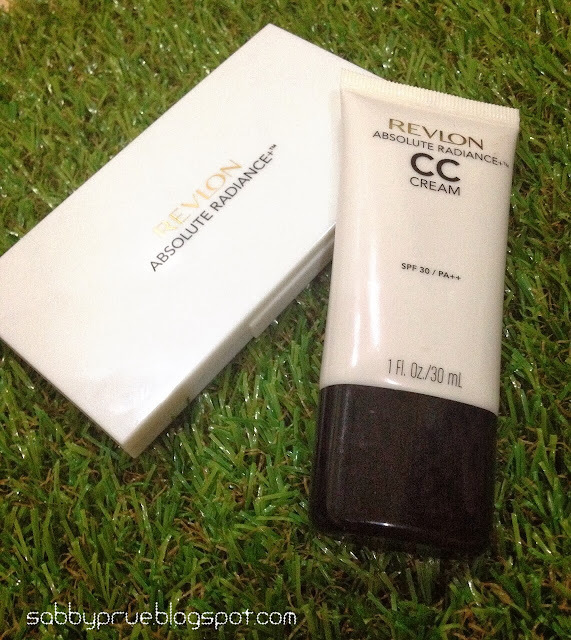 Basically, Revlon CC cream is a base makeup provides hydrating radiant finish with sufficient sun protection. 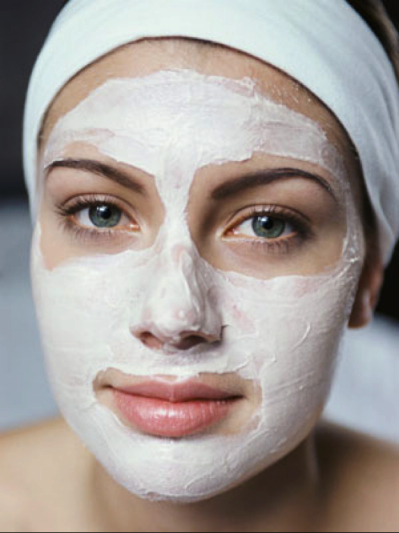 You will benefit from wearing good sunscreen regularly and end up with even-toned skin in the long term. I chose the lightest shade Light / Pale (010), and it is quite a good match for me. 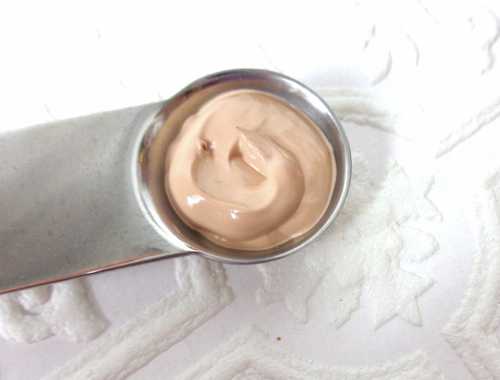 It feels very hydrating on and seamlessly blends in leaving a slight sheen behind. To be honest, I wouldn't have picked this up if it came with heavy coverage. I have tons of foundations that provide much better coverage and finish plus I have pretty much figured out the sunscreens that I can happily wear under my foundation. What I needed was a light coverage base makeup that doubles as my sunscreen for those oh-my-God-I-overslept mornings, and Revlon CC Cream fit the descriptions. Not the ideal combo to me, but the sunscreen ingredients look pretty solid here. You might say, "oh, almost every makeup comes with sunscreen these days". Yes, but the question here is, "How much of it can you put on your face?". No matter how great your sunscreen is, it cannot give you a sufficient protection if you don't put it on enough. With a bit of exaggeration, this is usually how those test-people look when they go in for sunscreen approval tests. They literally slather the sunscreen on to pass. 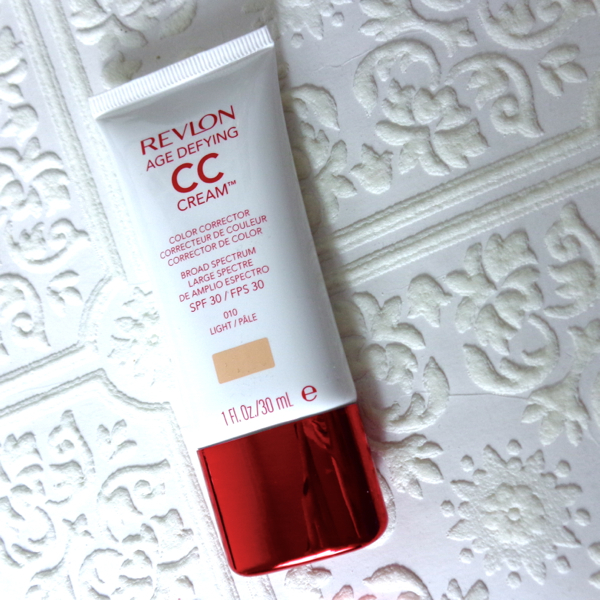 Since Revlon CC Cream gives a very light yet even coverage (not to mention the color match is pretty good for me), it is able to multi-function for me as base makeup AND sunscreen. It does smell like sunscreen and the finish is very dewy with light coverage, so better skip this one if you have oily skin or want more coverage. This is usually how much I use it for my face. It looks like a lot but the truth is I need to use even more. 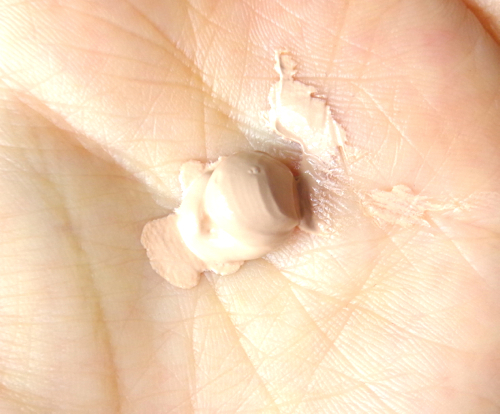 At least, I can use this much of Revlon CC Cream with no problem. I'm afraid this post is getting a little preachy, but let me show you something. 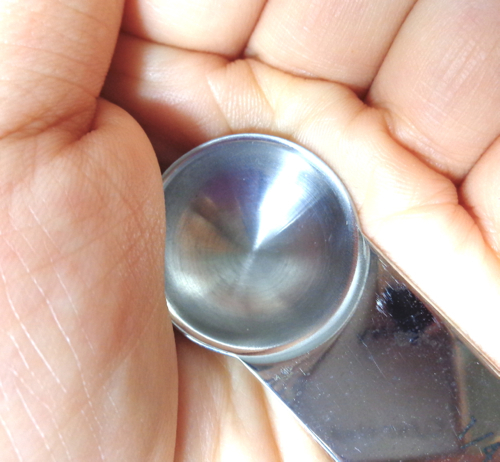 This is my ill-fated measuring spoon. It has never served its purpose to measure something for cooking, but maybe served for greater ones since it has been used to measure sunscreen many times. 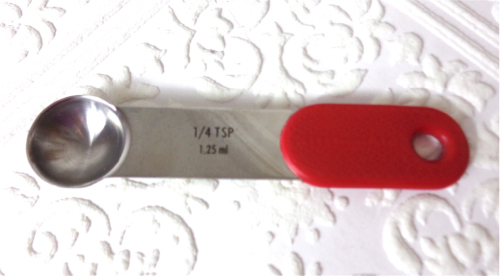 You wouldn't want to use a measuring spoon everytime. Just cup your hand a little and fill the sunscreen in the little nook on your palm. 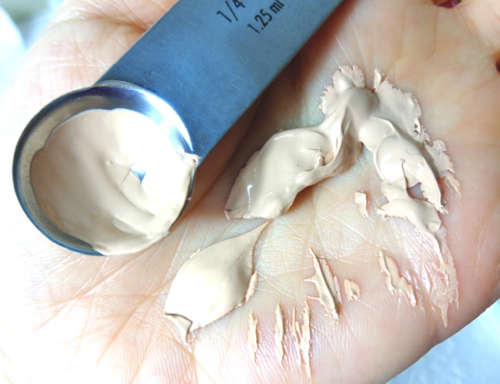 Basically you need about 1 ml on your entire face, so maybe this much? I dare you to put any makeup on that much. Please don't hate me for being annoying about this. The truth is I have annoyed myself over this subject more than a decade now. At this point, it just irks me so bad whenever I read something like "Little goes a long way", cause that sentence is just wrong if you know anything about sun protection. There are many other things we have to worry about "wearing sunscreen properly", but the first thing is that you need to wear it A LOT. 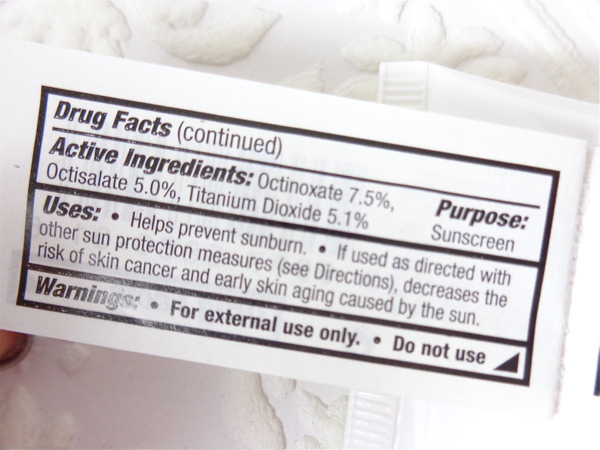 Suddenly this post has turned into some boring sunscreen lecture, so I apologize for that. But if you have managed to read it through here, you will understand why I like the Revlon CC Cream for what it is. In a nutshell, it is a great tinted moisturizer with nice sun protection and light even coverage. It is perfect for those low key days and busy morning. Plus it feels quite comfortable and hydrating through out the day and fades away naturally. Something totally worth a spot on my vanity, if you ask me. 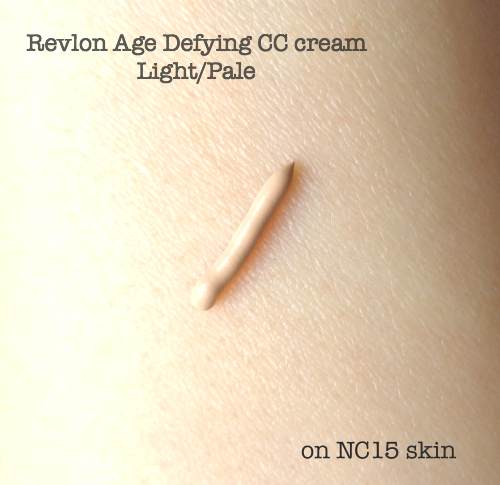 Have you tried the new Revlon CC Cream? What are your thoughts on BB/CC cream in general? I just tried it and I am shocked how well it covered my flaws. I am 44 and have my first tiny age spot. To me it is huge. I grabbed this product in a hurry thinking it was a concealer. So to my surprise it works great.